Can a Ductless System Manage the Heat? Are you looking to make a change in your home’s air conditioning in Gainesville, FL? As we move into the cooler weather at the end of the year, it’s a good time to make changes and upgrades to an aging cooling system, or one that was struggling with the basics of a Florida summer. There’s never a bad time to improve a cooling system in Florida’s weather, since more heat could always be around the corner. But late fall and winter offer the opportunity to sneak in a new installation when there are far fewer hot days. 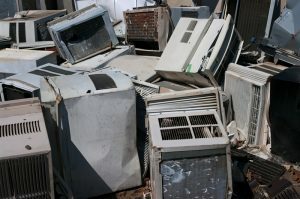 If a new AC is on your end-of-year shopping list, you may already have considered going ductless. Ductless mini split systems are becoming more popular for home comfort each year. You may feel uncertain, however, about making the change. Can a ductless system really keep you as cool as you need? Posted in Air Conditioning | Comments Off on Can a Ductless System Manage the Heat? Does My AC Help Control Humidity? Humidity is obviously a big issue in Florida. It can make a moderately warm day seem stiflingly hot, and a hot day pretty miserable. The reason for this is that the higher levels of moisture make it harder for the body to release heat through perspiration. More heat is trapped in the body, and this makes the temperature feel hotter. On our occasional colder days during the winter, humidity is often welcome—but it’s still not something you want inside your home, since it promotes mold and mildew growth and can cause building damage. But what about your home’s air conditioner? It helps with the heat, of course, which it does by removing heat from inside the house and exhausting it outside. Does it also help with humidity control? It’s a tricky “yes-but-more-like-no” answer which we’ll get into below. Posted in Air Conditioning | Comments Off on Does My AC Help Control Humidity? Although we experience some wet and cold days during the winters in North Central Florida, we also still have hot days. Air conditioners are expected to work throughout the year around here. That means you need to make sure your home’s AC is prepared to get through each season. The biggest concern is summer, which is why we stress having professional maintenance done in the spring, right before the period when the AC will run the most. It’s fall now, and you won’t be arranging for professional maintenance for the cooling system (unless you didn’t have it done during spring, in which case, better late than never). But we recommend you take a few steps to check on the air conditioner to make sure no problems are developing and that it’s set to handle any warm days ahead. 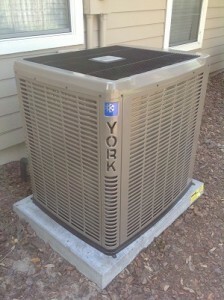 If you do need air conditioning repair in Gainesville, FL, call us and we’ll be there to take care of it. Summer never truly ends in Florida. We move through rainier, cooler periods, but the work of an air conditioning system in a Florida home is never fully done for the year. But the official calendar end of the summer is a good time to take stock of a residential air conditioning system and pretend that it’s come to the end of its annual service. We encourage you to take a moment to think about your AC’s performance and age so you can make important choices about its future—such as if you need a new air conditioning system installation in Lake City, FL before the next long stretch of heat arrives. Corrosion is a major enemy of most metal devices and appliances. With air conditioners, corrosion along the evaporator or condenser coils is responsible for 40% of system failures. Corrosion can happen quickly and may result from years of moisture exposure. 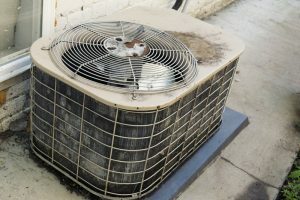 If you notice corrosion starting anywhere on your home’s cooling system, call for professional AC repair in Alachua, FL. The sooner you have the problem dealt with, the less likely you’ll need to replace the air conditioning system years before its time. No air conditioning system is “the last AC you’ll ever need to buy.” No matter how well you maintain your home’s cooling system, it will need to be replaced at some time. It’s a matter of knowing when: If it be not now, ‘tis to come. If it be not to come, it will be now. If it be not now, yet it will come. The readiness is all. 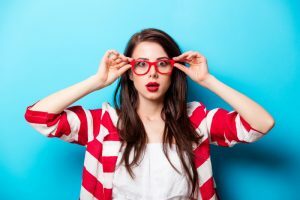 How can you know your aging air conditioner is at the replacement stage? 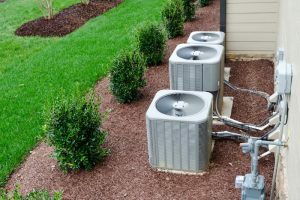 Thankfully, ACs give off several signs they’re in decline, and there are a few other factors to consider when you’re debating about putting a new air conditioner. How Does Geothermal Air Conditioning Work? Have you been calling recently for AC repair in Newberry, FL more than you think you should? Then there’s a strong chance that your air conditioner is ready to be replaced. You can arrange with us to have a new central air conditioner put in, or maybe a heat pump if you’d also like to switch out an aging electric furnace. 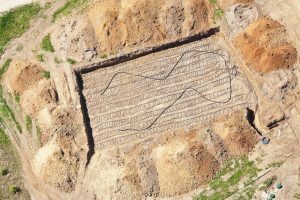 But… have you considered the possibility of installing a geothermal air conditioning system instead? Posted in Geothermal | Comments Off on How Does Geothermal Air Conditioning Work? When your home’s air conditioning system is running during the hot and humid Florida summers, you’ll occasionally hear a sound of water dripping inside it. This is a normal part of the AC’s operation: it’s the sound of water falling from the evaporator coil and going down a condensate drain. So hearing water in the AC is no big deal. But if you see water dripping out of the AC in your house, something’s wrong and you may need to have professionals repair the system. Do My AC Bills Need to Be THIS High? Short answer: Probably not. You can lower them. 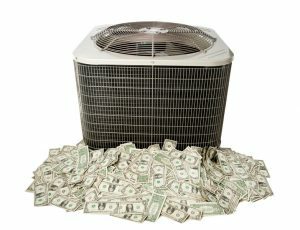 Long answer: Running an air conditioning system in a Florida summer, when it’s hot and humid, often gets expensive. The compressor, which is the heart of an AC system, uses a large amount of electricity when it turns on—much more than running the HVAC system fan alone. 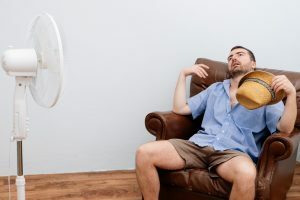 After a few mild months at the beginning of the year, you can expect to see electrical bills climb because your household air conditioner has gotten down to work. But those bills are most likely higher than they should be. There are multiple ways that an AC can consume excess power and become inefficient, and some may be from simple errors. 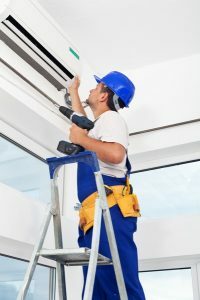 Others require professional air conditioning services in Alachua, FL. We’ll take a look at some ways to lower those steep air conditioning costs. Posted in Air Conditioning | Comments Off on Do My AC Bills Need to Be THIS High?